A few days ago, I was at the other end of town on work and near one of the city's bigger timber markets. After finishing work, I took a detour to the timber shops. I had saved some money for wood and had been looking for an opportunity to pick up something interesting for a standing cabinet I had designed. I found a shop in the market with a stock of really good wood. The owner was a taciturn fellow who would not bargain. He quoted a price for what I wanted and that was it: take it or leave it. Like most shops in that place he has several floors stacked with different kinds of timber. In the basement hall, there was a wide variety of imported timber including Wenge, Maple, Ash, steamed Beech, Sapele, White Oak, Spruce, Walnut and so on. I could not make up my mind about what to take - I felt like a little boy in a shop full of the most splendid varieties of sweets. Finally, settled on two boards: one was a ten-foot long two inches thick by fifteen inches wide piece of Sapele and the other an eight by two by five piece of Soft Maple. I also picked up three 3-foot by two inches by 3 inches pieces of African Padauk. Total cost was about Rs 5,500. The Sapele was 2300 per cubic feet; Maple 1800 and the Padauk 2300. There are a number of dedicated shops in the area with enormous bandsaws and thicknessers. I have always found it worthwhile to have the timber re-sawn in one of these shops before taking it home where it will dry a little more and often bend and warp. I had the pieces band sawn to a more manageable size to fit my car and the cabinets I plan to make. The two-inch thick slabs were sawn down the middle and then cut to 31 inches lengths. 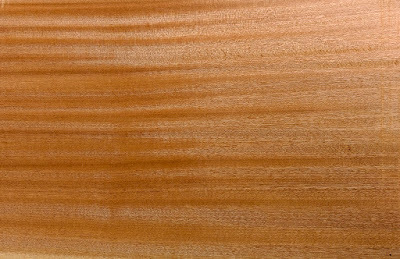 I have never tried Maple or Sapele and am most curious to find out more about them. After a couple of days of drying in my workshop, I found the wide Sapele boards had cupped somewhat while the Padauk was completely unchanged. The Maple looked straight but some of the pieces had twisted, whether from drying or from the re-sawing I couldn't tell. At any rate, I took out one piece from each and hand planed them to see what they really look like - the bandsaw marks usually completely obscure the wood pattern. I found Maple somewhat harder to plane than Ash or Teak. 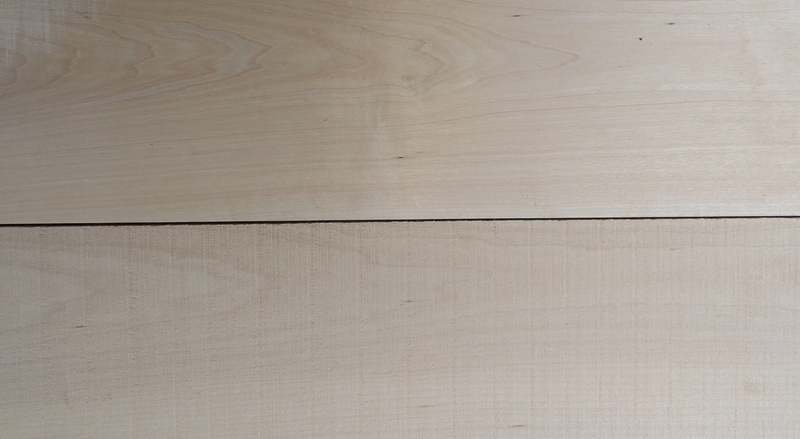 The wood is very pale, lightly figured and planes to a very smooth, even polished surface. Not having any experience with Maple. I wrote to my friend Mike Zeller from Colorado who wrote back: "There are two kinds of Maple, soft and hard - both of which are pretty damn hard if you ask me. I love both Maples, as you see it is a fine textured beautiful hardwood. That being said, sharpen up my friend, it is a real workout by hand. Anything less than sharp will leave you exhausted and angry. Working on some maple recently made me wish I still had a few machines around, but it can be done with sharp tools. The soft is not much softer, just by a bit and depending on where it is purchased can be slightly cheaper. Hard Maple comes from the sugar Maple tree, grows back east and up north where the winters are cold and very long - very slow growing and why it is so hard. Soft Maple grows more on the western and north-western coast here, much milder in climate and somewhat faster growing. The eastern maple has a sap that is boiled down to make maple syrup, good for pancakes, maple flavour candy and maple sugar. As for hardness, Maple is usually used here for bowling pins and gymnasium floors. Where ever a hard surface that wears well is needed, that should be a clue to that tight grain and durability. It will look gorgeous with some nice shellac on it." An article by Eric Meier in the Wood Database points out that "the term 'Soft Maple' does not refer to any specific species of maple, but rather, it's a broad term which includes several different species of maple. 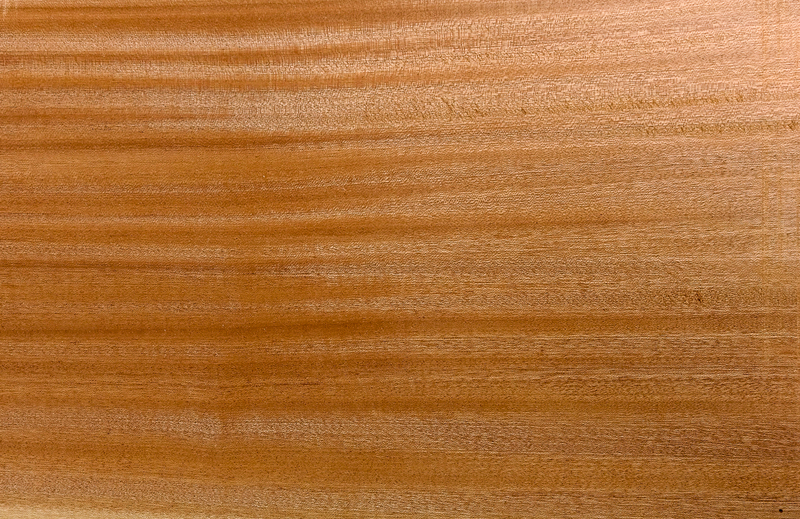 The term "Soft Maple" is merely used to differentiate these species from Hard Maple. Hard Maple, on the other hand, typically refers to one specific type of maple species: Acer saccharum. 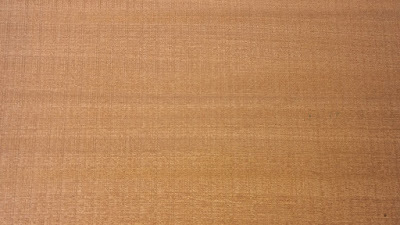 For many purposes, Soft Maple will be hard enough to be used in place of Hard Maple. Even though it is referred to as Soft Maple, it is only soft in relation to Hard Maple." I have used Padauk in the past and admire its orange red colour. It is fairly easy to work; strong, pretty dense and extremely stable. It polishes well and looks absolutely smashing after a few coats of Shellac. I had first seen Sapele, which is considered a substitute for the increasingly rare Mahogany, at my friend Zain's house in Chandigarh. He had made a fabulous table with a Sapele top and even without finish it looked stupendous. I have been on the lookout for some decent Sapele ever since. I hand planed one Sapele board and found it easy to work even though the grain rose and fell. (see photograph of its side). The beauty of the wood popped as soon as I was done. The lustre was incredible. The word for it is "chatoyance", I believe. 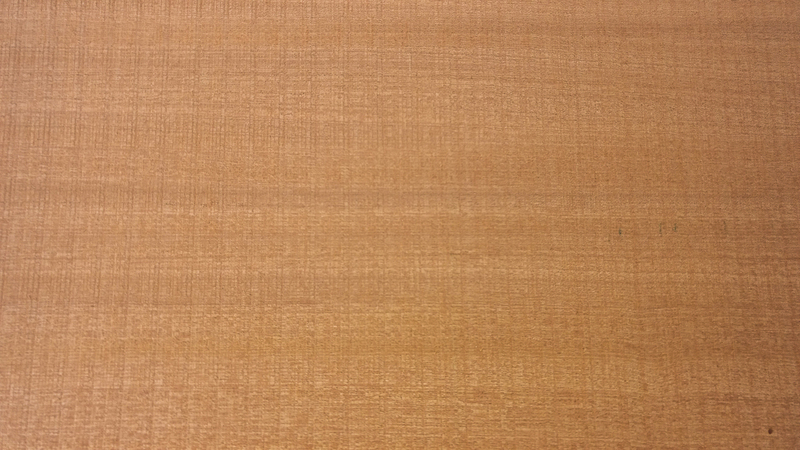 There is no doubt that Sapele is a magnificent wood. It may not be very easy to work though as it is dense, heavy and full of contrary grain. Nevertheless, it is an absolute beauty and made me wonder what genuine Honduran Mahogany must look like. Very information post indeed. A very encouraging too. Good Information about new wood....but missing your update from long time. Yes! But too hot for woodworking here. 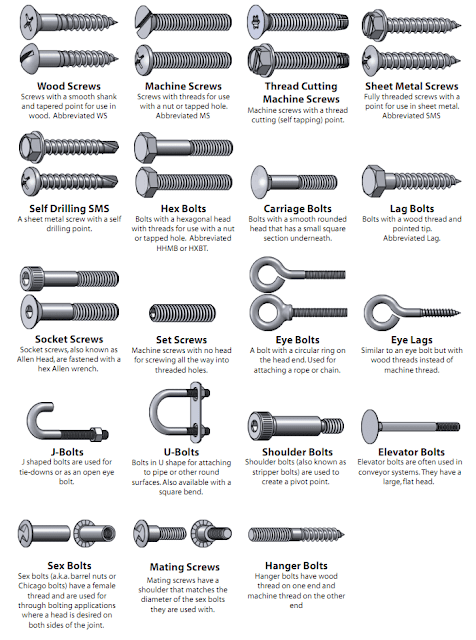 Very good information. I suppose this is the only woodworking hobbyist site in India. After spending many days looking at your site I am trying to make a small box for myself. I went to a local wood workshop and bought up a few planks. It was initially 1 inch thick. After a day spent trying to saw it down to 1/2 inch thick width, I realised that it was a bad idea to try to re-saw a panel using a hand saw. 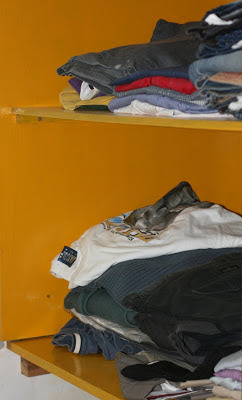 Since I stay in a apartment, I cannot afford to have power tools or even a work bench due to space limits. So I took it back to the shop who sawed it down to 1/2 inch thick and 1 foot by 2.5 inch planks in just a few minutes. After that it was easy to use a hand saw to cut it to exact dimensions. Now my question is how do I make the edges of a panel thinner? 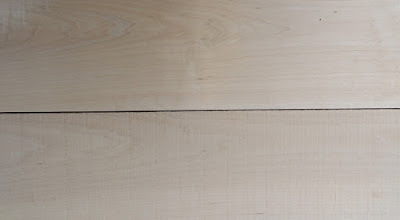 Is there a cheap hand tool that will help me thin a panel edge? You know something like the wooden rular from the old days? Re-sawing by hand is a bad idea indeed. I learnt it the hard way myself. I too do the resawing at the local lumber yard. As for planing down the sides of a panel to fit a groove, it is easily done with a hand plane. Make a mark 1 inch or so along the edges (dependiong on the size of your panel) and gradually work from the edge to the pencil lines keeping your hand plane roughly at a 45 degree angle (skewed) for easy planing.